Max started early, he was only 5 years old when he made his first experiences on a trial bike. With 6 he won his first trophy. Numerous titles and podiums followed the next years. 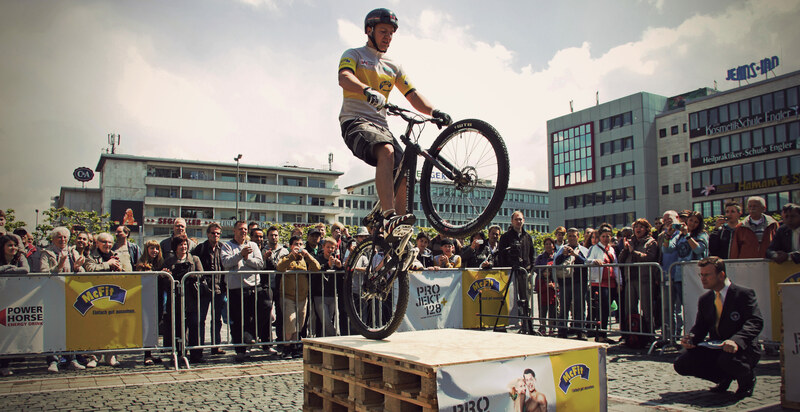 Trial mountain biking is a discipline in which the rider attempts to pass through an obstacle course without setting foot to ground. 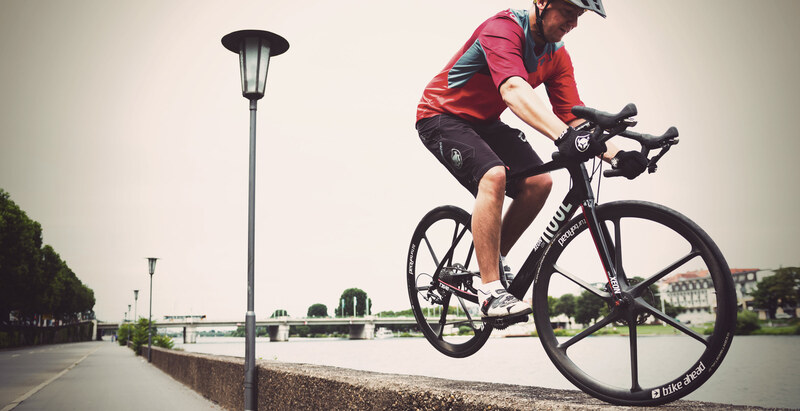 So, it is all about balance, concentration, body- and bike control. Today Max focuses more on entertainment, pushes his limits during tv shows, produces video content and collects world record titles. 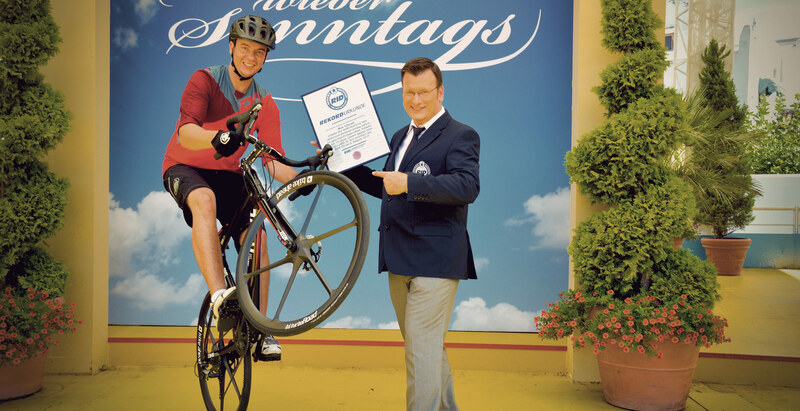 In 2012, he sets the record for the most consecutive bicycle back wheel pogo hops. A total of 180 jumps! Later in the year he got the record for the fastest time to traverse 9 oil barrels riding a trial bike. It took him 24.975 sec. In 2015 Max jumped over a total of 31 people lying flat on the ground within 1 minute. For his 4. world record attempt Max laid aside his trial bike. He is performing more and more tricks on a standard road bike with thin wheels, so it was about time proving his skills. 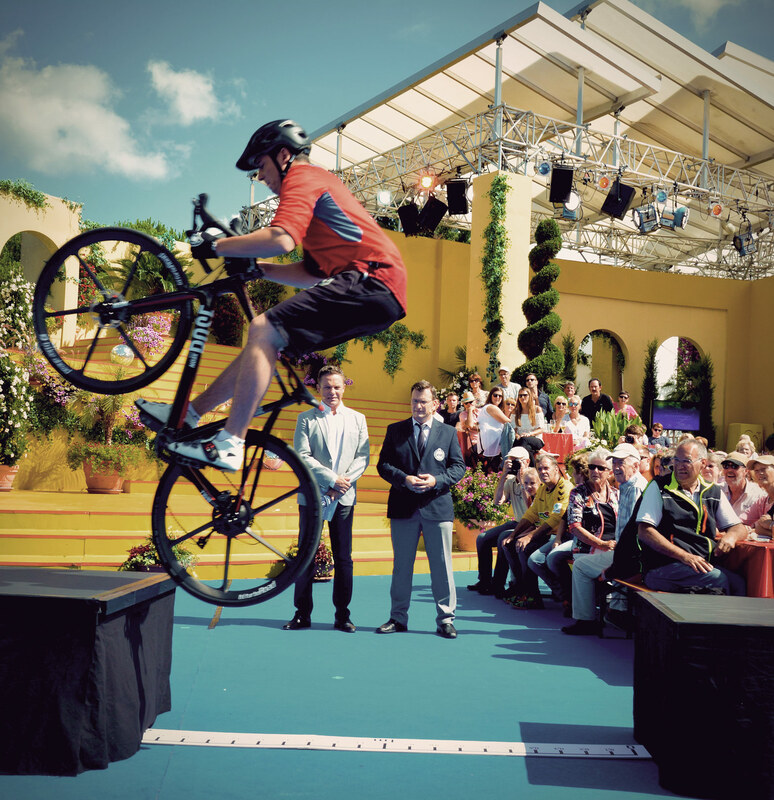 He claimed he would be able to perform a standing jump on his road bike over 2 meters between 2 obstacles. 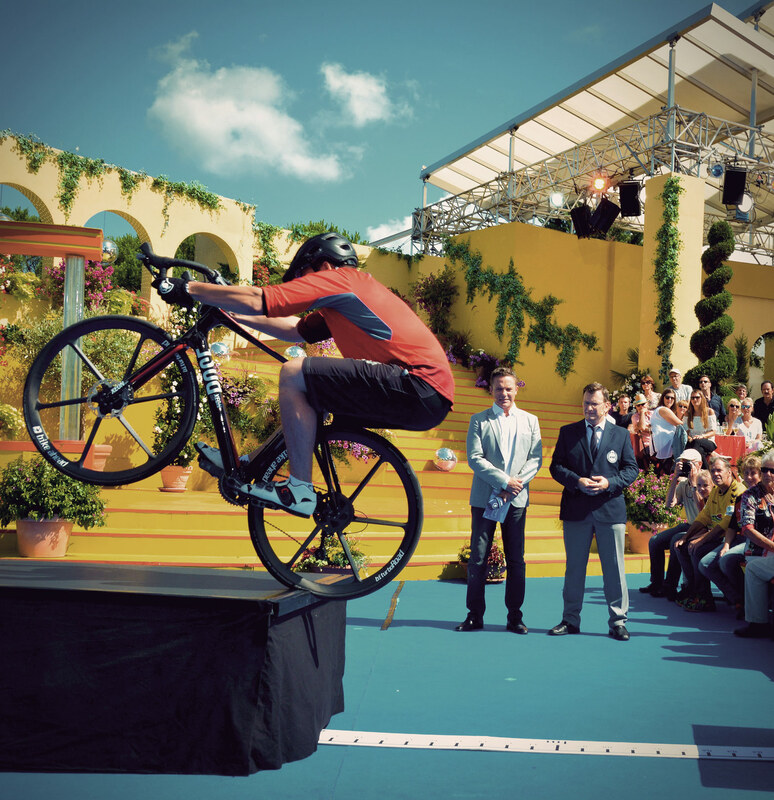 Perfectly equipped with his Trailfox helmet, Trail Gloves and our bike apparel Max was ready to impress the audience of a Sunday afternoon show in the german tv with some of his stunts. But then it was time for the real action.